With the Gulf State of Qatar facing isolation by its neighbors, the US media are seeking a simple and familiar explanation to the complex diplomatic rift. The country is accused of supporting terrorism, but according to CNN, it's Russian hackers who are to blame. 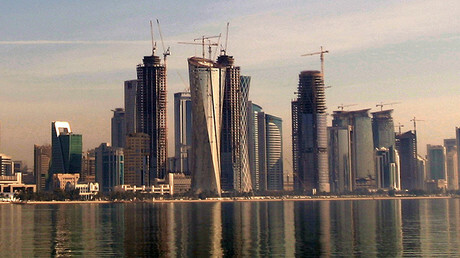 On May 23, the official Qatari state news agency QNA and its social media accounts published remarks attributed to Sheikh Tamim bin Hamad Al Thani, in which he allegedly discussed Iran's role in the Middle East, his views on the presidency of Donald Trump and the role of Hamas and Hezbollah in the region. While QNA quickly retracted the news and claimed it has fallen victim to a cyberattack by an “unknown entity,” the statements revived disagreements between Qatar and a number of key Arab countries. Eventually, Saudi Arabia, Egypt, the United Arab Emirates and several other countries cut diplomatic ties with Qatar, accusing it of backing terrorist groups. To help Qatar clarify the issue and return to normal diplomacy, Washington sent a team of FBI investigators to Doha to probe the hacking allegations. Now, according to an ‘exclusive’ CNN report, those Qatari and US investigators allegedly found traces of Russian involvement the Arab rift. According to unnamed US officials, the alleged motive for the hack was “to cause rifts among the US and its allies.” And since nothing happens in Russia “without the blessing of the government,” the Kremlin was likely involved, another CNN source alleged. The FBI and CIA predictably declined to comment on the CNN report. Meanwhile, the director of the Qatari Government Communications Office, Sheikh Saif Bin Ahmed Al-Thani, said only that the FBI and the United Kingdom's National Crime Agency is helping Qatar investigate the incident and that the findings will be revealed when the probe is complete. The latest allegations of Russian involvement seem to fall in line with the relentless Russian hacking hysteria that has been making headlines across mainstream Western media in the past year. Legal analyst and media critic Lionel told RT that the latest CNN report follows a well-established tactic – where the report starts off with “US sources say” without ever naming the persons behind the allegations, or even clearly explaining what the Russians are being accused of this time. “And you always say within the article itself: CIA, FBI never answered this,” Lionel told RT, stressing that these kind of reports are groundless unless they offer some concrete proof. While Moscow categorically denies its involvement in any of the alleged hacking activities, CNN has repeatedly accused Russia of hacking and interfering with the US and a number of EU elections. The latest report seems no different, with a number of US media outlets and even a respected news agency AFP rushing to repeat the baseless claims.